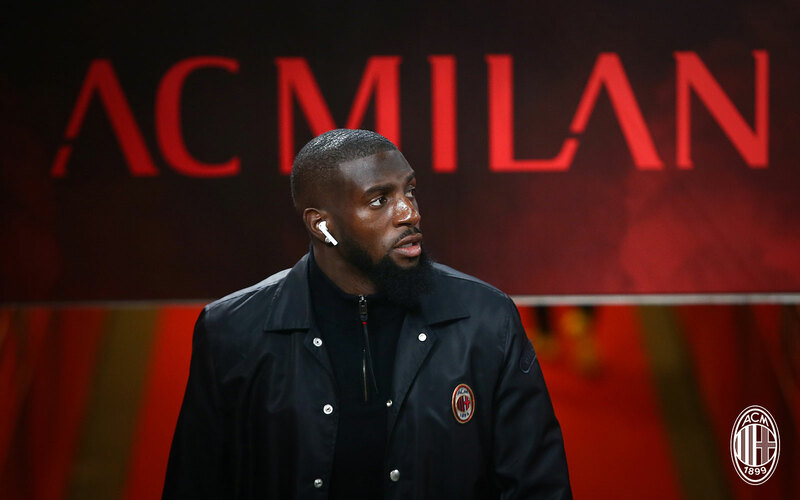 Tiémoué Bakayoko has given an extensive interview to il Corriere dello Sport, discussing the start at Milan and his objectives going forward. 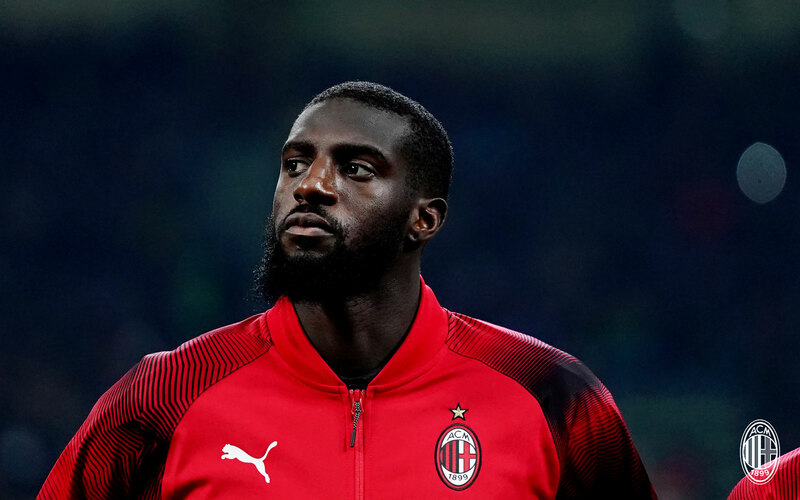 Bakayoko is without a doubt the player that has improved the most since the beginning of the season: after a very disappointing start, the Frenchman has conquered a place in the starting XI and has become one of the most important players in the set-up of Rino Gattuso. 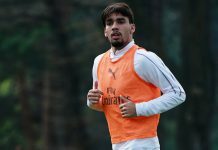 “If I thought that in January I’d be a cornerstone of this Milan after my debut against Napoli at the end of August, as Gattuso ‘rejected’ me as a central midfielder? After those words I was not well and I wasn’t happy… I felt challenged in what is my position on the pitch,” the 24-year-old told il Corriere dello Sport. “With the coach, however, I didn’t even talk about it, I thought about working and resting. I know myself and I know what my qualities are: I was convinced that by training hard, the satisfactions would come. “If I ever thought that I was wrong saying ‘yes’ to Milan? No, never. In my short career not everything has gone well for me. 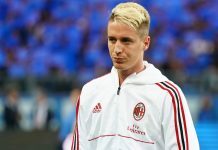 Sometimes the start of an adventure at a new club is difficult: it happened at both Monaco and Chelsea and for this I was not surprised that the story repeated itself at Milan. “I needed time to adapt, but then… How much did I improve compared to the start? I’m surer. I have more confidence in myself and I feel more comfortable. Plus, I know my teammates better and they know me better. I’ve worked hard and I’ve always tried to do my best for the team. Things are going the way I wanted and I’m better than in the first three months. “I played a game well and from then on I got more and more confidence. 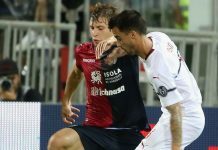 From the game against Genoa, I can’t say why, my feeling was that nobody can stop me on the pitch. Where can I still grow? In football and in life you can always improve. I’ve been here for six months and in a while I’ll be even stronger, continuing to work hard in training every day. If I’ve thought about my celebration in case I score, considering I haven’t scored yet? Yes, but I won’t tell you… maybe I’ll surprise you. “What has been my best game at Milan? My family says the last one against Napoli, but I also liked the first game against Juventus, when we lost at home. Regret over how we lost the Supercoppa final? In the first 10 minutes we played well and applied good pressure. But then, I don’t know why, we gave them the ball. When you face Cristiano Ronaldo and Dybala, it’s a mistake you cannot commit. 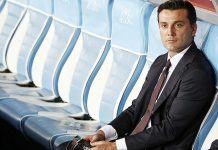 “If I’m more suited to playing central midfield in a 4-2-3-1 or in a 4-3-3 as a regista or mezz’ala? I think I can do well in both the two-man and three-man midfields, and I don’t have a favorite position. I think I’ve shown it in my career and I don’t know why they say that I’m better in two. “Milan’s chances of qualifying for the Champions League? For the club that it is and for its history, Milan must play every year in the Champions League. I’m happy to be fourth in the standings right now, but Lazio and Roma will not give up. If I’m concerned, seeing as Leonardo explained that my buy-out is bound to qualifying for the Champions League? I heard what he said… but I’m not in a position to talk about it. It’s a subject that concerns Milan and Chelsea. “If I’d be happy if Milan bought me out? Why not? Staying at Milan is my dream, the thought is fixated in my mind, but I have a contract with Chelsea. What would I be ready to do to be bought out? I don’t know… I just want to finish the season in fourth place and then we’ll take care of it. “From 1 to 10, how happy I am now? Very, very much. The team plays well and in the last 3-4 games we’ve done even better, not even conceding a goal to the opponents. We must continue like this until the end of the season. 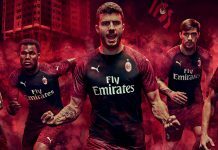 What is the secret of the great moment Milan are going through? There are no secrets, but I’m happy for our performance. On Tuesday in the Coppa Italia we offered the best test of the season against one of the strongest teams in Serie A and now in the league we are fourth in the standings. Everything is positive, but we must be concentrated until the end. 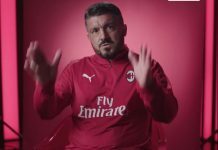 “What are the best qualities of Gattuso? 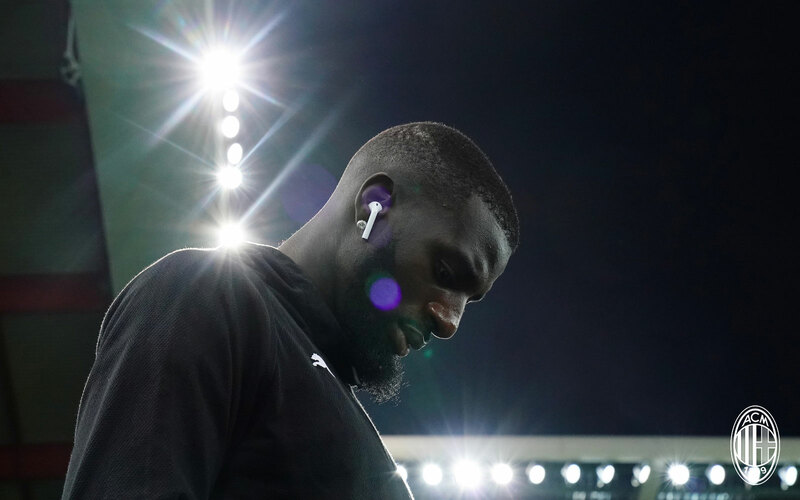 I don’t know if he has any qualities [Bakayoko says seriously before bursting into laughter]. I’m kidding, I’m kidding… Gattuso loves his players and gives everything to make them train well. His talent is to give love to the players. If Rino was one of my idols as a player? He wasn’t my ideal player… I say this with great respect because he won the Champions League which is my dream, and please do not tell him that [laughs]! 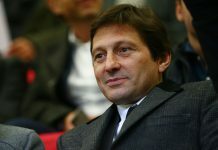 “If I consider myself a leader as Gattuso says? I don’t know… I try to give everything to the team and the fans, doing things by putting 100% because I have a big heart. It’s important when the coach thinks you’re a leader. Who is Gattuso for me? For me he’s the ‘boss’, a great person who’s helped me a lot: in the first 2-3 months when everything was not alright, we talked every day, but now there is no need for that because we understand one another with a look. Our relationship is perfect. “My favorite Milanisti of the past? Clarence Seedorf and George Weah. What would I say if people told me I seem like [former Milan, Arsenal, Juventus and Inter midfielder] Patrick Vieira? It’s a nice compliment because Vieira was tall, physically strong but also really good technically. 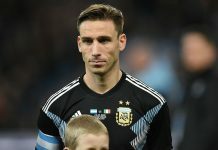 “If Biglia and I can coexist, seeing as he’s almost ready to return [from injury]? I’m happy for him to come back because he’s a great player and he’s helped me a lot with my placement. We can play together but whether it happens or not, it will be a decision of the coach. “What do I think of Higuaín’s farewell? I don’t want to say anything about Higuaín, he’s not my problem. If Higuaín asked me for some suggestions regarding his transfer to London? We talked about it a little, I explained to him that he is going to a beautiful city and an important club and then I wished him good luck… nothing more. If that’s all I told him? Compared to when I was at Chelsea, the coach is different [Sarri is on the bench instead of Conte]. I couldn’t tell him much more because I don’t know what the situation is like now. Things change quickly in a club. “What was my relationship with Antonio Conte like? Very good. He behaved with me like a father: many in England criticized because obviously they didn’t like me, but he always let me play, he defended me and gave me confidence. I have a lot of respect for him. “What kind of striker is Piątek? A very good one. Two goals on his debut is a nice business card. He has to work hard and you’ll see that he will continue to score a lot, he is fast and smart. He quickly entered the team’s mechanisms. I’m happy for him and we hope that he’ll help us get in the top four. “Who would I take away from the Giallorossi? Edin Džeko, because he is one of the best strikers in the world. Roma lost 7-1 on Wednesday in the Coppa Italia [they were defeated by Fiorentina]? It’s not my problem [laughs]… they will certainly be very angry, but this is football. 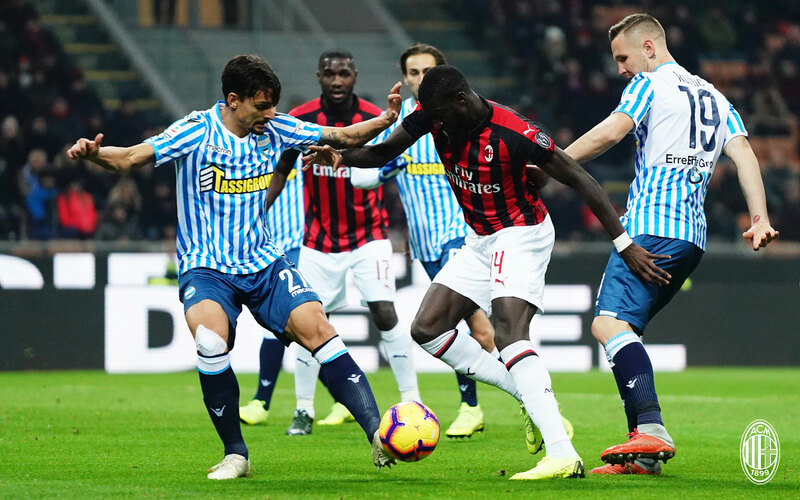 “If I spoke to Kalidou Koulibaly after the racism incident in the Inter-Napoli game? Yes, but what we said remains between him and me. If something like this ever happened in my career? Yes, during my first professional season. I heard some ‘buu’ directed at me, but I was young and I was just thinking about playing. I was not interested in what was happening around me. “If I heard them now that I’ve grown up, I would behave differently. 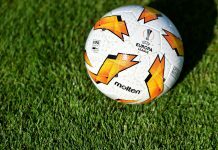 The FIGC has reformed the procedure to suspend a game in the presence of racist choirs [matches will now only require two calls and not three to be suspended]? That’s right… when we start hearing the ‘buu’, we should all stop. Sign him. Sign him. He’s a player who can start for a team that can challenge for the scudetto. He’s one of our best players, we can’t afford to lose him. 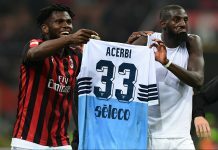 If we don’t make CL, I’d sell Kessie to try to fund his transfer. He’s a key member for us, he needs to stay. 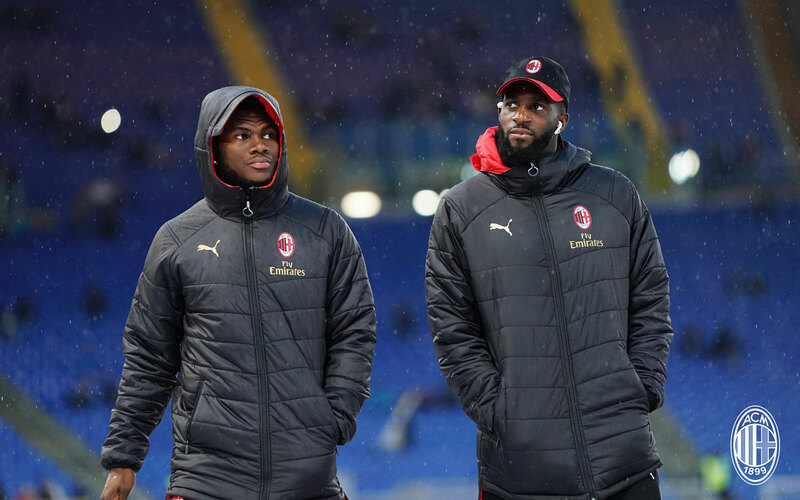 Kessie needs rest maybe but his passing, decision making and shooting are getting worse. At the start of the season I thought Kessie’s passing had really improved. His shooting had never been one of his strong assets. However, the last few games he has not been himself and his passing has detoriated a bit. I would want to replace him just yet because he has been a very good player for us last year. He needs to step it up just like Suso and Calhanoglu, they are all talented and good enough to help us. He needa to lower his Chelsea wages, and hopefully we can resuce his price, but – yes, definitely sign him. Why does he need to lower his wages? He is the best player in Milan in recent games. I hope he continues like that. Isn’t he worth his wages? Kessie was the our champion in the midfield but now it’s Bakayoko. If he chooses to lower his wages that’s his choice not for us to require it of him. We can’t afford to start paying everyone 7 million euros a year mate. He’s great, really good, but not 7-million-a-year good. Not yet anyways. But Milan can afford to pay Donnarumma 6/6.5 million after leveraging the club? 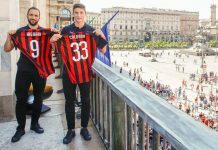 Milan can afford to pay Bertolacci and Montolivo 2 million and 2.5 million respectively for warming the bench. We rarely say anything about these players irrelevance costing the club a combined 4.5 million a season. You’re point is taken, and it is true that players are overpaid. Making financial errors in the past hurts you in the present, same is true for any organization. As insulting as it is, you cannot just make money materialize. I had immense doubts about him (justified by his early performances!). But now he is turning decent performances and if he keeps doing this for the rest of the season, he might be the smarter choice over Kessie. But watch out for FFP. Would be a very unfortunate incident if we finish in top 4 and then handed a continental ban for FFP. I too had doubts over bakayoko. But he has shown me that I was wrong. He’s been excellent. Probably one of the best midfielders in the league. Should definitely be signed permanently. 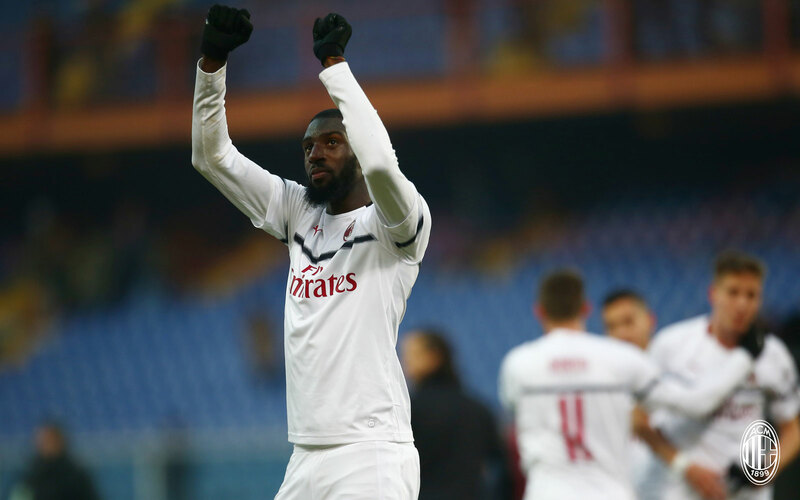 Anyone who’s seen me write has seen that I’ve defended Kessie through thick and thin but bakayoko has out shined Kessie in every aspect. So if I were to keep one it would be bakayoko. 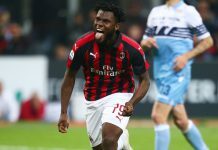 Kessie on his day is a beast but he is yet to find consistency. The good thing is time is on his side. I was pro Higuain and lukewarm on Bakayoko; I admit I am surprised by the outcome. 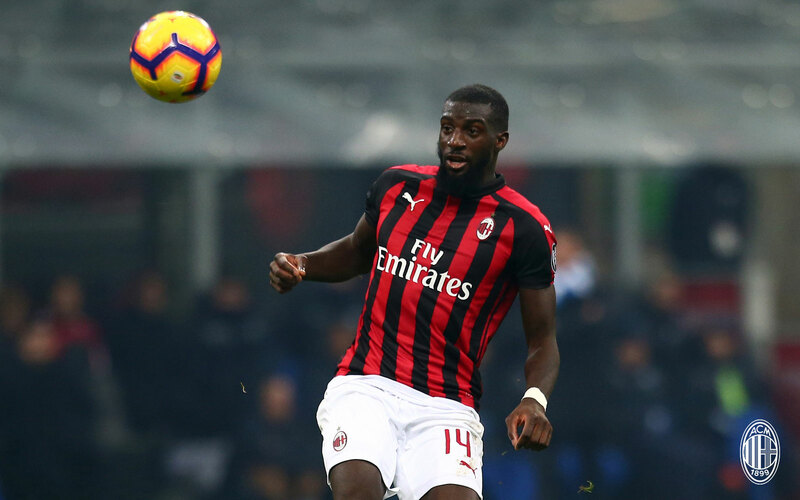 Bakayoko needs to continue showcasing his dominance in midfield, and work more to improve on his technique. But he definitely been great for us so far, no doubt about it. Yes, he’s young so he’ll definitely improve. Just looking at him so far this season shows how far he’s come. Remember that in the beginning he was trying to do the hard passes, like long balls or passing that was intended to split through defences, but he’s stopped doing that as often and is now playing to his strengths, Kessié needs to learn to do the same. If Baka keeps this up, he will have cemented his reputation as the leagues best DM, and arguably one of the best in the world. Yeah, he has great dribbling, for sure. 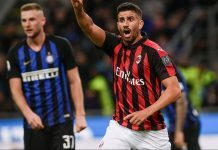 But like you say Milanista, he needs to continue to play to his strengths – that is either short or through passes, with nothing fancy in the back. Also, he needs better ball control when under pressure, and more presence in the air. I’m so hight just thinking about it ! With a good LW , we can be unstoppable ! For the first time in many years , we know exactly what spots we need to upgrade , Summer mercato will be reaally exciting ! Let’s just hope on getting to UCL , with even 3rd pkace looking so possible with recent Inter form. Shoutout to Leo and Maldini for the great job. No you dimwitted friend. No need to change formations. 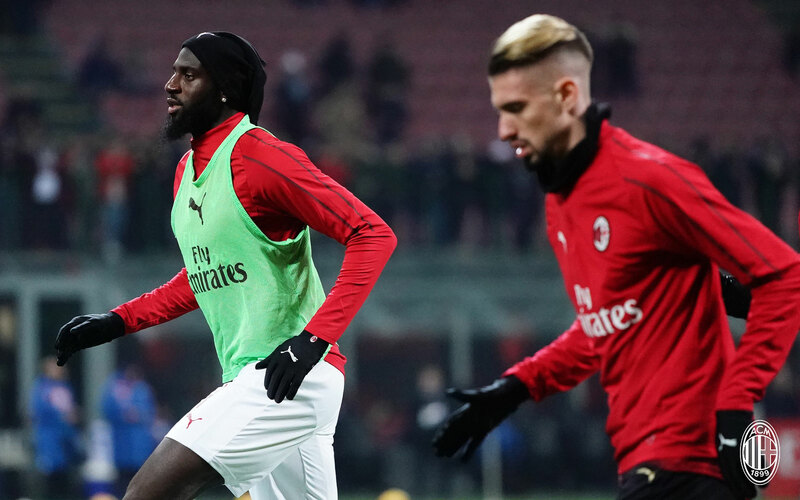 Gattuso was the one who wanted Bakayoko and he resurrected him. 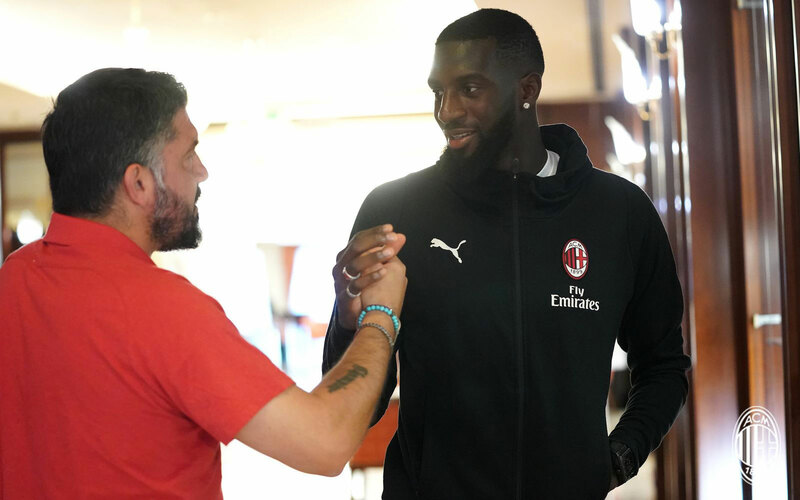 The form of Bakayoko is thanks to Gattuso. And yes, the injury of Biglia helped him too. 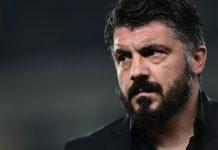 But it is Gattuso who believed in him. Really hope he scores a goal, preferably at the San Siro, before the season ends to top off his performances.